Since the beginning, the conscious races have looked to the sky for guidance. In the movements of the heavens, they seek meaning; in their positions, portents. The opulent halls of royal houses across Golarion play host to learned astrologers and scholars paid to interpret the songs of the spheres, and many are the battlefields where chieftains on both sides offer bloody sacrifice to the red planet Akiton. Varisians follow the motions of their Cosmic Caravan, and all followers of Desna pay special attention to her children, who light the night sky and guide sailors to their moorage. Though some may scoff at those who deify Golarion’s sister worlds, few gazing upon the great crater of the Inner Sea can deny the sky’s power when riled. All men watch the stars. Yet how many know that the stars gaze back at them? In the passage of a heartbeat, the tiny island of Devil’s Elbow changed forever. Known locally as the site of a failed settlement called Witchlight, and reputed to be haunted by the ghost of a notorious siren named Virashi, Devil’s Elbow is destined to become known as the island where a star fell, and the site of a frenzied rush to claim the valuable skymetal the fallen star brought to Golarion. Yet the prospectors who arrive on Devil’s Elbow are fated to find more than riches on the deadly island. 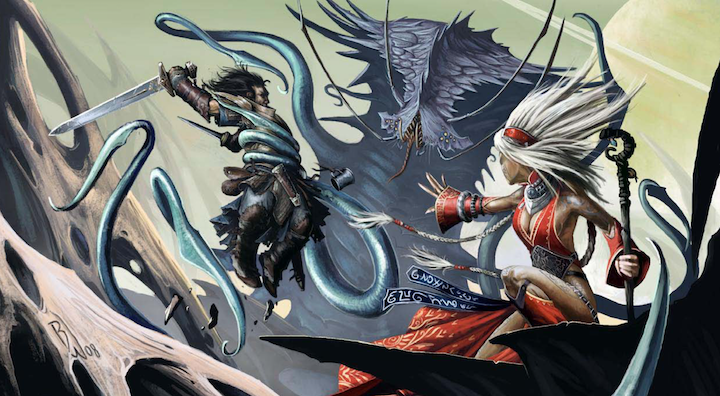 The Second Darkness is an official adventure path for Paizo's Pathfinder game system. I plan to start from the second book, Children of the Void, and continuing for as long as there remains player interest. I am starting with the second book for a few different reasons. One is that after reading a few reviews, posts, comments, and then reading through the first chapter myself I find it to be lacking. The second book with its fallen star makes for a more interesting kick off, at least in my opinion. You don't miss anything of the story by skipping the first chapter. This also allows for game starting above level one, which I am also interested in. I do plan to continue with the series as long as there remains interest. This game will start at level four and is designed to take players to around level seventeen or so. The posting rate for this game will be an average of two to three times per week. Some days there will be more posts than others, but this campaign will be run at a leisurely pace. If you do not post once within 48 hours during combat, actions will be taken for you (usually the dodge or assist action). I reserve the right to eject from the campaign anyone who has not posted in a week without prior warning of absence. I expect players to engross themselves in the roleplaying element and contribute interestingly to the story. For this campaign I also favor longer posts with detail and emphasis on the growth of the characters over just posting to meet the requirement. I will be taking applications until 5/04/2019. I will be selecting a total of four to five players. If you have any questions, I'd be happy to answer them. A falling star passes over Riddleport, blotting out the sun and throwing the common folk into a panic. The star makes impact on a small island to the west of the city. Devil’s Elbow is a mountainous island, heavily forested with pine trees, firs, redwoods, and cypress trees. Reefs and dangerous rocks surround the island except for one narrow approach to a sheltered cove on its northern side, and most of the island’s shores are rocky cliffs averaging 100 feet in height. The island terrain itself is rugged, with its highest peak being 800 feet above sea level. Birds, bats, and other flying animals are common fauna, and there’s a relatively large population of deer, wild boar, wild dogs, stirges, giant centipedes, snakes, donkey rats, and rabbits on the island as well. Most of these animals and vermin were introduced to the island by settlers from the south five decades ago. The people of Riddleport shared a collective sigh of relief when the danger seemed to have passed, but that was short lived. Only a few scant hours later the city is hit by a tsunami brought on by the concussive force of the star's collision with the island. When the wave surged ashore, dozens of ships were beached, with several washed inland and left stranded as far as Wharf Street. Many of Riddleport’s piers were ruined, and several of the smaller buildings along the waterfront were damaged. Over the days following the event, the crimelords and overlord of Riddleport mobilized in a way rarely seen in the lawless city, working together to put out fires, save citizens who were swept out into the harbor, and kill angry and disoriented reefclaws, sharks, bunyips, and other dangerous sea creatures that suddenly found themselves stranded in the city streets. In the aftermath, the cost of the damage to buildings and structures rises into the tens of thousands of gold, and the total number slain or swept out to sea by the wave may never be known (thanks to the city’s inefficient census practices), although the more conservative estimates place the total number of victims between 150 to 200. Yet despite the disaster, Riddleport is quick to forget the trauma. Those who weren’t directly harmed by the wave have little compassion for those who do, while those who were affected are universally quick to turn the event from disaster into opportunity. In the days and weeks to follow, the chaos on the waterfront makes for ripe grounds for smugglers, looters, and other violent criminals. Ships that were further out to sea return to find many of their competitors no longer in a position to work against them, and the balance of power among the various pirate captains has shifted dramatically. In addition, with each passing day, a new greed continues to grow among Riddleport’s citizens, a greed for skymetal. After the initial shock of the falling star and its impact subsided, the implications of the event sunk in. Skymetal, in any of its seven known varieties, is a valued and much sought-after commodity in any society, but with Riddleport’s Gas Forges being one of Varisia’s only public operations capable of smelting such difficult metals, the convenience of the fallen star has many of Riddleport’s groups eager for a chance at the easy money. Race: Any listed as core, featured, or uncommon from the Advanced Race Guide. In addition to those, ghoran, skinwalker, and lizardfolk are also available. Races that have alternate heritages may use them, as long as they remain relevant to your background. Races from Legendary Games and John Brazer Enterprises third party content most likely allowed. I have quite a few of their books, just check in with me. Other third-party races might be allowed by request. Class: Anything Paizo. Would prefer that any anti-paladin applicants pick a more structured deity, such as Asmodeus. Far-eastern classes need a good reason to be on the other side of the world. If you would rather re-flavor a far-eastern class to represent an unusual combat style we can make that a possibility. Unchained versions of classes that have them. If you want an archetype that doesn't work with the unchained version we can probably work something out. The Dreamscarred Press Psionic material is allowed, but Path of War is not. Classes from Legendary Games and Little Red Goblin third party content most likely allowed. Other third-party classes might be allowed by request. Archetypes: One per class. Exceptions can be made in certain cases, such as the spell-less ranger archetype. Alignment: No alignment restrictions on classes except Paladin and Anti-Paladin. Paladins may have any alignment except evil or true neutral, and worship any deity that does not have an evil alignment. The Paladin must be within one step of their deity's alignment. Anti-Paladin may only serve a deity of an evil alignment. Everyone must still select an alignment except true neutral. I won't hold you to it too much, but since there are plenty of abilities and spells tied to it we will be using the system. Just pick what matches your character the closest. Starting Wealth: 6,000g. No single item over 2,000g. Hit Points: Maximum at 1st level, rolling for each subsequent level. Ones may be rerolled. Don't roll in the thread please, wait until after the application process. Traits: Two traits from two different categories. No campaign traits. No trait that gives bonus wealth or equipment (specifically weapons or armor). House Rules: Background skills. Feat revisions. Character Submissions: I’ve got a little outline I’d like everyone to follow for submitting a character. If you have any questions about my rules for character building, any thoughts about character backgrounds, or to request that I review your character don't hesitate to ask. Character Sheet: (Link to your character sheet here) I would like it to be mostly filled out but don't worry if it isn't 100%. What/Why/How? : Why do you seek the Skymetal? Any motives other than for coin? Were you already here in Riddleport or did you travel here from abroad following the fallen star? How do you feel about the rumors of Devil's Elbow being cursed or haunted? A lot of this can be instead answered in the section below if you would rather. Step 1: Write 5 background and concept elements that you feel are important to your image of the character. These can be a concept overview, a list of important life events, a physical description, a personality profile...whatever you need to get an image in your mind. 5 is just a minimum...more elements are encouraged! 1) He is a former pirate and retired adventurer and now owns a tavern in the city of St. Clarice. 2) He is outgoing and charismatic, and attempts to keep abreast of all the local gossip and juicy secrets that pass his way, because he believes that knowledge is power. 3) He and his former adventuring band fought against the forces of the pirate captain Craven, who was a major lieutenant for the current Dread Pirate Hellbeard. He used the wealth that he acquired to build his tavern, but he sometimes worries that the pirates may one day decide to find him and extract revenge. 4) Though he is still friends with most of his former adventuring mates, some of them parted the group on bad terms. His girlfriend went back to the sea to fight pirates once more, but he received word that her vessel was taken by Hellbeard and believes she was killed. He mourns her death. 5) Although he is retired, he can be convinced to adventure again if he hears that Sasha (his lost love) may still be alive, or if he is contacted by the White Foxes during a crisis (see secrets). Step 2: List at least two goals for the character. At least one of these goals should be one that the character has, while another should be one that you, as a player, want to see developed over the course of the game. 1) I would like to see Martin reunited with his lost love and perhaps able to mend fences with some of his former adventuring buddies over the course of this campaign. 2) It would be cool to have Martin face and possibly defeat the Dread Pirate Hellbeard once and for all. Step 3: List at least two secrets about your character. One is a secret the character knows, one is a secret that involves him but that he is not actually aware of yet. This will help me in creating plots that center around your character. 1) Martin is a member of the White Fox Society, a secret society dedicated to keeping Coralton free of tyranny and evil, as well as keeping local governments honest. He provides information and rumors to them, but can be convinced to take a more active roll if pressed. 2) Sasha LeBell, Marin's lost love, is still alive. She was captured by the Dread Pirate Hellbeard and has been kept as his captive for all these years. Step 4: Describe at least three people that are tied to the character. Two of them are friendly to the character, one is hostile. If you like, you can include an enemy of yours here as well, so I have an instant NPC nemesis to throw at you. 1) Martin's friend Audric Cwellen was one of his adventuring mate. Audric, a holy warrior in the service of the Goddess of Love, is the leader of the local cell of the White Fox society, and provides Martin with information and adventure hooks. 2) Another of Martin's old traveling companions, Aubrey LeVaine, is not as helpful as Audric, because they quarreled over the love of Sasha, and Aubrey is still bitter about losing her to Martin. Still, he can provide some magical support if Martin can convince him to let go of his hate. 3) Yebin Thistledown is a strange little creature from the Feywild called a gnome. Martin met the gnome in the Shroudmist Forest and saved him from a pack of Howlers. The Gnome makes all sorts of alchemical items and gadgets, and loves collecting odd souvenirs and items, as well as "recreational herbs." He operates a bizarre patchwork shop in the Rue Angélique district. Step 5: Describe three memories, mannerisms, or quirks that your character has. They don't have to be elaborate, but they should provide some context and flavor. 1) Martin remembers growing up in a tavern as a young boy, helping his mother with the cooking. This started his own interest in the culinary arts. 2) Martin remembers the panic he felt when he discovered that the ship he signed on to was a pirate ship after a brutal attack on a merchantman. He vividly recalls the smell of blood and burning timbers. 3) Martin often recalls the goodbye kiss he gave Sasha when she left him. No kiss he's had since ever compares to that memory. Post Requirements: Minimum posting rate of two to three times per week. Party Size: Looking for 4-5 players. - I want players who give detailed and interesting posts. Not one-liners and blocks of speech text. The rule of three applies here. What is your character thinking, doing and saying. - Expect your actions to have consequences. Don't be stupid. Play smart. If I give you lots of hints that opening the box will unleash fiery death. Don't open the box and expect to live. - I'm a story teller, the rule of cool applies. If it's cool, cinematic and epic, screw the rules- I'll probably allow it. If this grates against your rules lawyer soul...we are not meant to play together. - Unless I tell you otherwise...assume you can play with the scenery to help craft the story. I know the above is a very, very lengthy process to go through to apply for a online pbp game. I also know that some of you will be turned off by it. Some of you will cringe, but others will pour their heart and soul into their character and create something absolutely beautiful. If you are looking for a quick game of fun and just want to slash up some bad guys and do your thing then this campaign is not for you. If you are looking for more.... then look no further. The most important thing you should do however is familiarize yourself with the setting and start thinking about what kind of hero you would like to be playing. The best way to do that is by downloading and reading through the player's guide, though since we are starting from book two not all of it will be relevant. Googling Riddleport may be more than enough to get you by. Please do not hesitate to PM me, call me out on something, disagree with me, ask questions, bite your thumb at me, or anything else you need to do for me to get your application. I don't bite. Last edited by Talanna; 04-15-2019 at 04:35 AM. Sounds intriguing. Posting interest. App should be up soon. Would you allow the Loran race from Legendary? As long as you are okay with twisting them so as not to be aliens from another planet. Since they count Undine as part of their progenitors we can go with an offshoot of the race that... I don't know, maybe they were Undine present in Thassilon or Azlant during the Earthfall event. The destructive magical and psionic energies that followed in the cataclysm's wake mutated the nearby Undine into Loran. Also, just so you are aware, there isn't a whole lot of water related material in this adventure. Last edited by Talanna; 04-16-2019 at 12:15 AM. First D20 game I ever DM’d. Good luck everyone. Oh. Thought by app description it starts at a port town there would be lots of water. I can go a different race no problem. Description/Personality: Ulthar stands slightly under six feet tall with dark hair that falls below his shoulders, though he usually has it tied. His skin is tanned and weathered from his years of traveling and adventuring, all in search of lost artifacts and sources of magic. It has taken a tremendous amount of hard work, both physically and mentally, to achieve the skills he has. He looks down on those that do not work hard or are freely given what they have in life. Ulthar rarely starts fights, but has no problem finishing them and will stand up for what he believes is right, resorting to violence only as a last resort. What/Why/How? : Ulthar grew up in Riddleport in a small room atop an arcane shop. He has been in possession of an odd sword for a few years, but after the meteor landed, it has literally taken on a life of its own. After seeing some of the starmetal being brought back to town, he has begun to suspect that his sword is some form of starmetal, and that he might find more answers in the Devil’s Elbow. 1) Ulthar has made it his life’s pursuit to gain as much knowledge as possibly, and therefore, power. 2) He is quick to provide his opinion on matters and bluntly describe his feelings about something, whether good or bad. 3) He found a plain old longsword being sold by a travelling merchant a few years ago. He could not explain it at the time, but something urged him to buy the weapon. Despite his best efforts, he was unable to clean the blade, although its edge still appeared sharp. Over the years, the blade has begun to appear newer as time wears on. There have even been physical changes, such as additional guards and markings down its length, as though it were “growing”. Most recently, a large round orb has appeared at the top of the pommel. The night the meteor fell was when the orb opened to reveal a large unblinking eye. 4) Although he will not admit it, the Black blade has been able to exert enough of its will on Ulthar to at times make him take actions that he would not otherwise have done. List at least two goals for the character. 2) I would like to see Ulthar faced with the challenge of overcoming (of dealing with the consequences) of being urged by the blade to do something completely against character. List at least two secrets about your character. 1) Ymnar, the blade’s name as it has revealed itself to Ulthar, is also made from a type of starmetal. 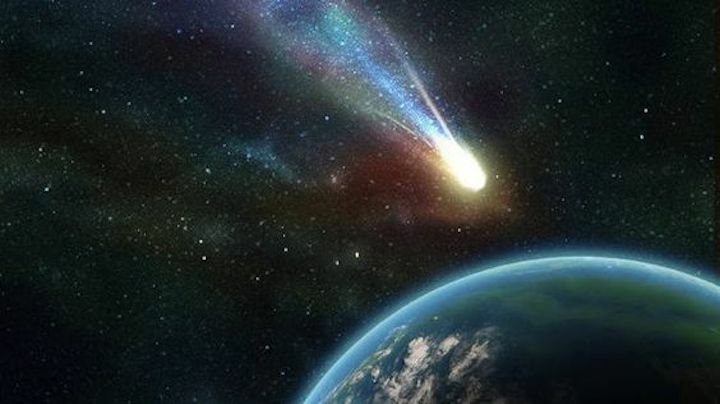 It was awakened when the meteor fell near Riddleport. 2) When Ymnar first awoke, Ulthar was not prepared to protect himself mentally from the blade’s ego and it assumed control over his mind. In Ulthar’s hands, Ymnar killed over twenty people shortly after the meteor fell. Ada Godwell was one of those that he killed. He has no memory of this happening. Describe at least three people that are tied to the character. 1) Ada Godwell has been Ulthar’s traveling and adventuring partner for years. Although never intimate, the two were very close. She went missing after the wave struck and the ensuing chaos. Ulthar looked for her for days, but eventually had to accept that she was dead. 2) Ulthar’s parents died when he was a young boy. Sabastian Pregus has been a mentor and father figure ever since. Sabastian owns the magic shop directly below where Ulthar lives and is directly responsible for Ulthar’s obsession into the dark secrets of the world. 3) Since the blade awoke, Ulthar has felt a presence watching him at times, like a chill running down his spine. He caught a glimpse of it one night, a shapeless mass of shadow that presented more of a mental impression than a physical one. Ulthar has attempted to discern the creature’s nature or identify its location, but nothing was worked. The only thing Ulthar knows for certain is that the fear he feels when it is near is unlike anything he has ever felt. Describe three memories, mannerisms, or quirks that your character has. 1) Ulthar always found it odd that his mentor, Sebastian Pregus, insisted that he learn martial skills in addition to his arcane studies. Could he have known then what path Ulthar would eventually follow? 2) Ulthar usually spends the morning practicing his sword forms and the evenings studying his spell book. He keeps a regimented schedule and does not like it when it is disturbed. 3) Despite his training, Ulthar detests violence and prefers finding peaceful solutions to solving problems. Last edited by Silent Rain; 04-17-2019 at 08:45 PM. Interested. Are you allowing Gunslinger? I'm glad you said that. I was so ready to make a sea-faring character, and I wouldn't want all that to go to waste! Gunslinger is a Paizo class, so you're probably good! Description: Percivel is taller than most of his kind standing at six feet tall and weighing around a hundred and eighty pounds giving him a lean physical look. The multicolored fur covering his body is short and well cleaned. While the fur covers most of the scars he has there is one long jagged scar on his left arm where the fur hasn't grown back. His deep yellow eyes give him an almost feral predator look at first glance but for those who take the time to know him the look is that of a fierce determination to protect his friends. He dresses in fine cloths, like those a noble wears, of deep greens and dark browns. He wears a black sheepskin cloak that hangs down to about his mid calf but has no markings or embroidery on it, its the plainest looking thing he wears and no one is sure why. The rest of his cloths form his head to his boots are gold embroidered with intricate designs of many different races which should make him look hodgepodge but instead all comes together beautifully in an ostentatious kind of way. In his boot he keeps a very nice, very sharp dagger with a slightly curved blade and a pearl white handle made of some kind of bone. 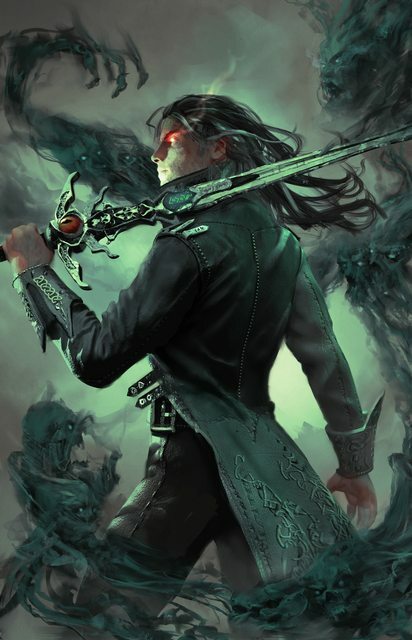 At his hips are a pair of rapiers, one with a golden hand guard and a black metal blade with silver runes that run down its length and the other with a silver hang guard and a white metal blade with golden runes running down its length. Personality: Percivel is a charming man who finds himself at home in most social situations and while people are slightly put off by his eyes they find they like to be around him due to his natural magnetism he exudes. He is a very optimistic person, always having words of encouragement and very very rarely a negative point of view. As he is at home in social settings he has seen his fair share of intrigue and backstabbing so trust is something he is slow to offer when meeting someone new but once earned he is a loyal friend that would do anything to help you out. When times get tough and everything looks bleak Percivel offers his friend a brighter point of view, and tries to help them see the light on the other side of the ordeal. When it comes to making major decisions for himself he is assertive and generally straight to the point but when its something that could affect or endanger lives he takes the time to think things through and tries to make the decision with the least amount of pain for others. In effect he tries to side with the lesser of two evils and always with the devil he knows over the one he doesn't. Rules? They are there most of the time for the good of common people and can be bent but should only be broken in extreme cases....unless they are making peoples lives worse they they need to be broke, smashed, and reforged into something that works. Setbacks come and go, all you can do is move on and learn form mistakes is his mentality. "Why do i want the Skymetal? thats a good question, i suppose it would be a good topic of conversation at the next noblemens party i attend. But in truth its the adventure i seek, the metal is but an after thought." "Yes i have been in Riddleport for a few months now. Why? well i had a feeling that this would be the place to be for adventure, not sure i can tell you why i had the feeling. But it has been a very interesting stay and the people here are amazing, see look at all of them trying to pick up and move on with their lives after a devistating event. Its remarkable." "Haunted? Huh, well i suppose ghosts have as much a right to be here as we do. Oh yes i belive in them, i have seen them as well as other unquestionable evil things such as curses and tyrants. Everything has a place and time and when that time comes there is nothing that can be done about it. My time has not come yet but who knows maybe one of them ghosts will show me the end....its thrilling to thing about." Last edited by Rylus; 04-17-2019 at 12:48 AM. Well dang, this sounds pretty good. I am going to download the players guide and get a feel for the setting a bit more. Posting interest. Question, Would you allow the summoner? If so are you ok with the synthesist archtype? Here's my app! This character is a lot of firsts for me, but I'm excited to see where it goes! Oz is a 36 years old. He is half-elf male, standing at 5'10" and weighing 140lbs. Not the burliest man, but he has fierce amethyst eyes and a perpetually furrowed brow that are offputting to some. He has dark brown, shoulder-length hair that he keeps tied back out of his face. He wears quality robes in the black and red colors of his homeland, Cheliax. People often mistake him for a priest of Asmodeus. While he does say the occasional prayer in His hame, he's no holy man. He keeps his hood up to protect his pale skin from the sun. People often view Oz as intense, yet well tempered. He is quick to judge, but will always consider new information and reevaluate his positions. Oz is cautiously optimistic most of the time. He tends to trust people until given reason not to, but he plays it close to the vest. He values rules, a lot. Everything follows the rules of the universe. Sometimes things seem like they don't because we just don't fully understand those rules yet. He has little time or patience for empathy, and doesn't altogether understand its utility. I have been here in Riddleport for the better part of two months, studying the ancient Thassilonian runes inscribed on the Cyphergate. I have a theory that the archway is part of a magical gateway, but to where I do not yet know. I wanted to make the first big breakthrough about the Cyphergate, but then the star crashed. I will be the first to unravel its secrets! The Cyphergate isn't going anywhere, anyways. While I was buying supplies, I heard a rumor among the locals that Devil's Elbow is haunted. I'll not be scared off by any weak-willed wisp who can't decide whether they want to be dead or alive! 1) My human mother, Reva Petra, came from humble beginnings. She doesn't like to discuss it. She married a big-shot Elven barrister in Egorian. He cheated on her and sent her off with a care package including a handsome sum of money and yours truly. I was very young and don't remember him at all. She was devastated, and let herself waste away once I becamse self-sufficient. Despite my pleading, Mother never told me who he was. 2) I am from the Triumph district of Egorian, Cheliax. I'm patriotic and very proud. 3) My greatest passion and driving force is unraveling the secrets of Thassilonian rune magic. 4) I am completely oblivious about others' perception of me, and it leads me into a lot of situtations that others would consider awkward. 5) I am extremely "Type-A". I strive to be the leader in my field and the best at what I do. I dress well and stay extremely well-groomed. I am constantly trying to prove myself to myself and others. 6) I am a closet homosexual, but I haven't admitted this to myself yet. 2) Oz would like to make some sort of discovery related to Thassilonian/rune magic. 3) Oz would also like to see his father publicly shamed as retribution for the way his mother was treated. 4) Oz wants to collect all the spells in the world in his spellbook. 1) Oz got wind that there is another researcher in Riddleport trying to beat him to the punch, but he doesn't know that Oz is onto him yet. 2) Oz has an older sibling who was banished from the house before he was born, and he has no idea that they exist. His mother never mentioned them. 3) Oz's friend is in love with him, but she doesn't know how to bring it up. 1) Oz has become a regular at the House of the Silken Veil, the most popular brothel of the Leeward District in Riddleport. There's a young girl named Bree who works there who he stops by to talk to. She gives him a discount since he isn't there to fulfill physical needs. 2) Oz sleeps in and spends a lot of time at the Mystery of the Gate, an inn and tavern popular among scholars studying the Cyphergate. There is one researcher there who has become the closest thing Oz has to a friend. They share books and materials with each other (but never notes), and they occasionally have brief conversations. 3) Being the awkward guy that he is, Oz accidentally and unknowingly offended a high-ranking member of one of the many criminal organizations in Riddleport, who has placed a bounty on his head. 1) Oz will often stare intensely at peoples' faces while processing information. 2) Oz walks with long, deliberate steps with his arms pumping furiously. It almost looks like he's marching. 3) Oz detests being dirty or smelling bad, and thinks lesser of others who do. 4) Oz has an obsessive compulsion to count things, and often mutters them out loud as he does. He gets upset if he is interrupted.